Van Kempen brings a stylized twist to nature's forms for this effortlessly glamorous flower pendant. 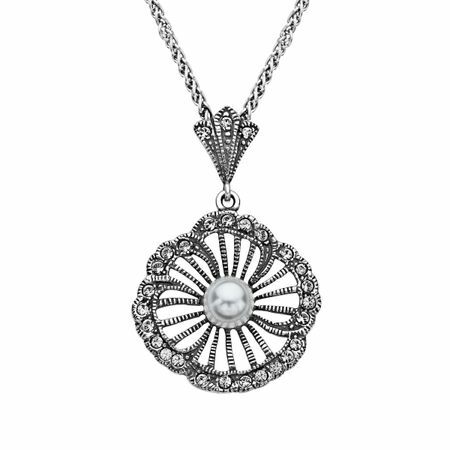 A glossy simulated shell pearl rests in petals decked with white Swarovski crystals suspended in a setting of sterling silver. Piece measures 1 7/16 by 15/16 inches. Comes with a sterling silver 18-inch wheat chain.